Disclaimer: I do not work for Oracle or represent Oracle in any way. This list of features is not official. This is just part of my research as an “outsider”. Java 8 has become feature complete about two months ago and the developer preview is just around the corner (in a couple week’s time). This blog post will detail what’s coming in this next major release with an emphasis on JavaFX 8, which is the UI library. JavaFX release number is now on par with the Java release, that’s why it has jumped from 2.2 to 8. This is part I of a three part series of posts. This first part will focus on what Oracle has officially been telling developers that should come out in JavaFX 8, the second part will be mostly speculative, and listing what I think might come out and is not officially being reported. And the final part focuses on the rest that’s coming to Java 8, excluding the UI library (e.g., new language features and such). All features have been implemented and integrated into the master forest, together with unit tests. A reasonably stable build suitable for broad testing by the developer community is published. This build will include all planned features unless otherwise stated. The date by which the final release candidate must be declared and submitted for testing. One or more release candidates will be declared after the planned ZBB date; if another is necessary after this milestone then the General Availability date will be at risk. Final release, ready for production use. To this let me add that I’ve been developing Java based apps under Java 8 for more than a month now and consider it to be quite stable. I’m also not using any of the features under development (like 3D graphics for example), so I can’t say anything for that part. On that site you can also download some sample apps, where you can get a glimpse of what’s already possible to do. The following list will focus especially on the most relevant upcoming features. The list of all coming new features and changes to existing ones is particularly big in this release and it could be that some relevant ones might have escaped my attention and may not me mentioned. 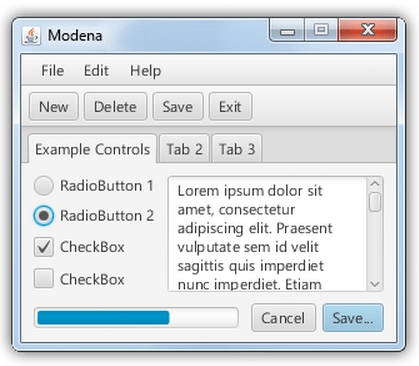 Rich text support will be added in JavaFX 8 via TextFlow class. Swing node will allow you to embed swing components inside a javafx scene. Support for the opposite, that is, embedding a javafx scene inside a swing app is already possible via JFXPanel. SkinBase class will become public, but Behavior class and subclasses are still private implementation, there is still some work to be done here after JavaFX 8. Support for video and audio recording will be added. The looks have been significantly improved with a new theme called Modena. This time a lot developer feedback was taken into account making for a very nice end result. Improved 3D support will be available in this release. Or it’s probably more accurate to say: true 3D support. 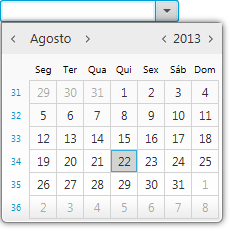 It is an optional feature, you can query the runtime to know whether it is available for the given platform. When JavaFX runs with software rendering this 3D features will not be available. Camera can be added to a scenegraph, its position and aim (or orientation) is set using standard transforms. Subscene is a special node that can be used to render part of a scene with a different camera. Three commonly used predefined 3D shapes are introduced: Box, Cylinder and Sphere. Added lights and 3D materials to add realism for 3D shapes. Material specifies the appearance of a 3D shape. Light interacts with the geometry of a Shape3D and its material to provide the rendering result. A Shape 3D can be rendered either as a filled shape or as a wireframe. AmbientLight: A light source that affects all objects equally. AmbientLight objects model the light reflected from other visual objects. If you look up at the underside of your desk, you will see the bottom surface of the desk although no light source is directly shining on that surface (unless you have a lamp under your desk). The light shining up on the bottom surface of the desk reflected off the floor and other objects. In natural environments with many objects, light reflects off many objects to provide ambient light. The AmbientLight class simulates this effect. PointLight: A light source with a position. The distance and direction to a given object affects how this lights up the object. PointLight objects approximate bare light bulbs, candles, or other light sources without reflectors or lenses. May add more types of lights in the future (example: spot light, a light that simulates light sources such as flash lights). If a Parent is in the set, all its children are affected. The default is the root node of the Scene. LOD stands for Level of Detail. It is technique that changes the appearance of an object depending on how close or distant to the camera it is, or in other words the level of detail is changed according to the area occupied by the object if the object is far then the detail can be lowered without the user noticing it, and thus improving performance. Many 3D file formats exist, such as: Obj, Maya, 3D Studio Max, Collada, KRML. There will be no official 3D file format loaders shipping with the API. Oracle however will provide sample code for one or two popular formats. At least a Collada file loader is in the works. Builders are now deprecated in this release. In Java 9 they will be removed (this is several years down the road). You should start planning to replace builders if you are using them. JavaFX thread and swing can be merged, this is still an experimental API and will not be public, and you’ll have to turn it on explicitly. If you are developing a hybrid Swing/JavaFX app this will simplify the code since you only have to worry about one UI thread. 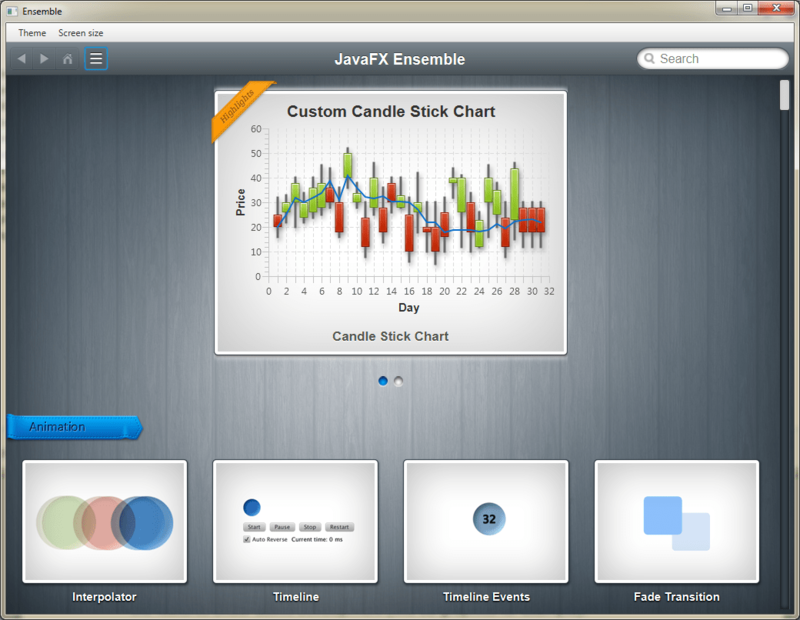 JavaFX has just recently become fully open sourced. This is great news since it will allow third parties and developers to extend the functionality of JavaFX more easily and thoroughly. Also good for debugging errors, and other things. This has been a recurring request from developers, JavaFX classes are now on the default runtime classpath for an Oracle Java implementation. That’s not what I meant. I understand the confusion, I didn’t phrase it the right way. I’d be kind of surprised if video and audio recording makes it into the initial Java 8 release – I think that will come later. Maybe the JavaFX team will be able to get those features implemented somehow for Java 8, we’ll see when the release candidate comes out. You may be right about video and audio recording. Don’t know for sure. For me, Van Ness is important because it’s supposed to bring us subpixel rendering. Does anybody know wheter Van Ness is Java 9 or earlier? Thanks in advance! With only box, sphere and cylinder, no tiled textures, no opacity, no particles, no animated textures, serious issues with animation (no transition queueing), no fog and tons of other things missing, JavaFX 3D is just a cute, expensive demo. I bet Oracle decided to sell Java and wants to put a check mark against ‘3D support’ on the bill of materials, that’s it.